The other night I had gone to a #Hatch Chile cooking demonstration by Chef Marco Zapien of Zapien Salsa Grill & Taqueria in Pico Rivera, my home town. Chef Marco created a fabulous menu with Roasted Hatch Chile Tortilla Soup to Hatch Chile Enchiladas Suizas. The dishes were outstanding and traditional in flavor. There is something magical about Hatch chiles from New Mexico and we wait patiently all year long for Hatch roasting season. My pansa was completely content, or so I thought until Chef Marco served the grilled corn off the cob and tossed with queso fresco, a bit of mayonnaise — and here was the kicker – HATCH CHILE BUTTER. I swooned. I savored every little bite. My eyes rolled back in delight. The butter was creamy and the Hatch chiles had enough heat to play off of the grilled corn and stand up to the queso fresco. Everyone at my table felt the same way. So much pleasure given from one little dab of Hatch Chile Butter. I was glad to hear Melissa’s Produce provided the Hatch chiles and the new Green Hatch Chile Powder. You know you can always count on excellent quality with Melissa’s Produce. 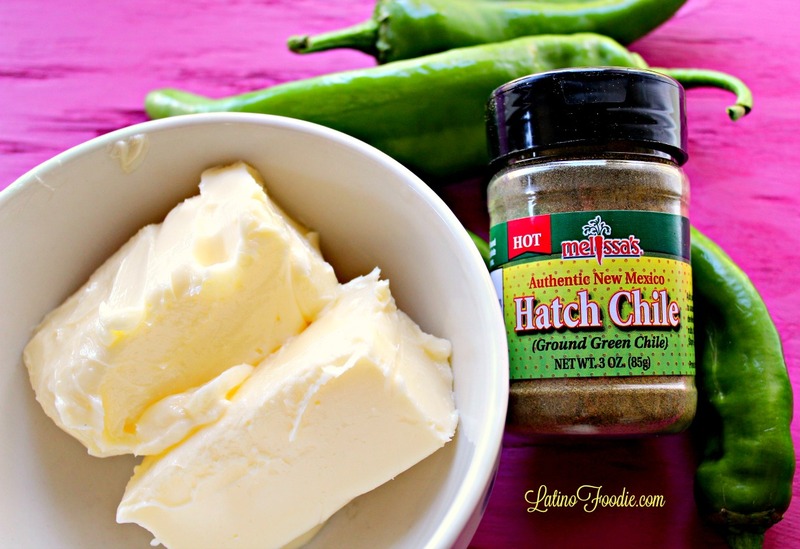 I had to get my hands on the Hatch Chile Butter recipe. And, lucky for me and for all of you, Chef Marco graciously shared it with me. Below is his recipe. He uses one pound of butter, but that seemed WAY TOO MUCH for me and Art, so I reduced it to two sticks of salted butter and decreased the amount of Hatch chile to 2 rather than 3 chiles. I encourage you to play with the recipe and make it all your own. But, like most recipes, do this one by the book first and I promise you will not be disappointed. If you have extra butter, this would make terrific gifts for friends and families. I am going to be enjoying my Hatch Chile Butter on tortillas, in soups, on corn, corn bread, did I mention tortillas? Oh my God, I ate three corn tortillas today with the Hatch Chile Butter. I couldn’t stop. I would’ve eaten the whole dozen if I didn’t feel so guilty. Seriously, guys, it’s that damn good. 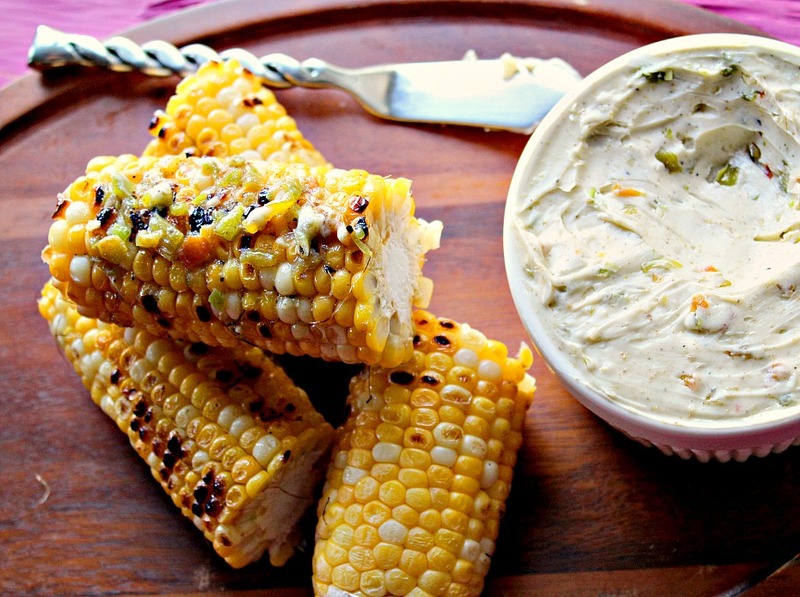 Creamy and spicy, the Hatch Chile Butter is perfect for grilled corn, esquites, or simply on a tortilla. 1 tsp mild Hatch chile powder *Melissa's Produce sells a great selection. Mix together with the finely diced Hatch chiles, chopped garlic, Hatch powder, salt and pepper. 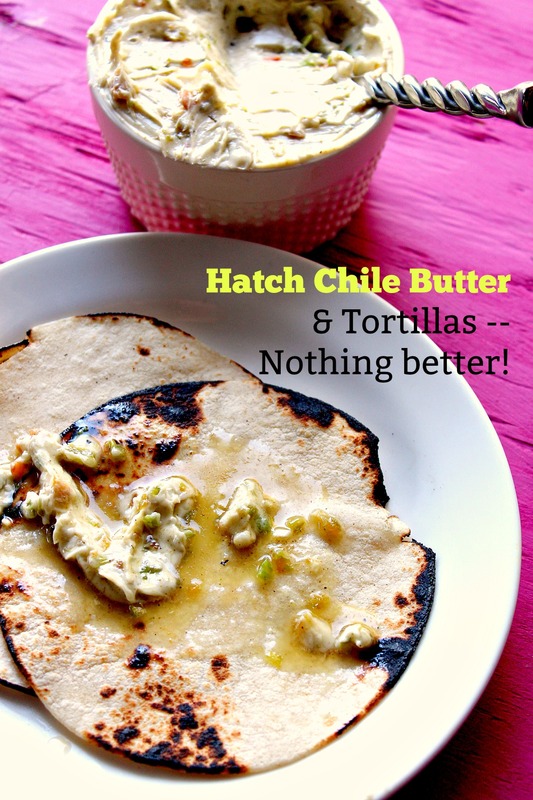 I can eat Hatch Chile Butter on a warm tortilla every morning for the rest of my life! Stephen, love this website! Just out of curiosity, since you stated your hometown is PR, are your parent Vince and Cecilia Chavez? Wow! What a small world. Yes, my parents are Vince and Cecilia Chavez. How do you know them? Just finished up bagging up 3 bushels of green chiles for my winter hoard! I’ve got smoky ham and bean soup in the pressure cooker and cornbread waiting for the oven. Jumped on Pinterest to find a tasty butter and was heavenly sent right to your post ♥ Sounds amazing and can’t wait to try it on our cornbread tonight! Coming back later to surf your blog! Thanks so much! How did the Hatch butter come out? Makes you want to spread on EVERYTHING right? I’m sure that’s tasty, but it looks like a bird to leak and a turd on a tortilla.